It’s hard to imagine being fast on your feet when dealing with concrete and masonry materials, but it got Charles (Charley) Minotte and his Native Concrete & Masonry Inc. through the Great Recession and moving forward during the recovery that followed. Few industries are as impacted by economic trends as construction – from exaggerated activity during boom times to absence of work during recessions. His reinvented concrete and masonry company is still only eight years old in its current shape, but Minotte and crews have experienced and survived the wild swings. Given what he’s been through, every major project and the small ones in between become chapters in his own story. 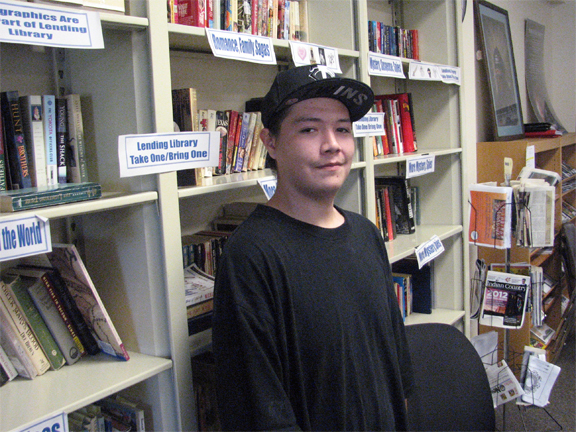 Monette (Turtle Mountain Ojibwe) worked for his father Vernon as a bricklayer during summers and after high school in 1985. He joined Bricklayers Local #1 after four years working with his dad. “I learned something new all the time working commercial jobs,” he said. He took classes along the way to become a licensed general contractor and built his first house in 1993 when he was 26. “I also had some schooling in landscaping and utilized that in touching up yards,” he said. The company held together primarily doing restoration and rehabilitation work at St. Paul homes, but a fortuitous development was in the works in Minneapolis that would create jobs for the building trades. He went to work on projects at Target Field, home of the Minnesota Twins, which opened for baseball in 2010. After that, Monette wanted his company to be more versatile and ready to chase opportunities. The new and current Native Concrete and Masonry does namesake masonry and concrete as well as retaining walls, wood installation, chain link fences and demolition – usually wrecking homes. Through these changes, however, the company has stayed primarily a restoration company. “We are probably 90 percent restoration driven,” he said. But new construction isn’t foreign to him after working 20 years in construction fields. Clearly, the Great Recession shaped what Monette and company can and couldn’t do. The United States went through its longest and by most measures the worst economic recession since the Great Depression between December 2007 and June 2009. Construction projects were cancelled or put on hold. That combined with other losses and unemployment got Congress to act, working with Presidents George W. Bush and Barack Obama, and with the Federal Research Board on financial stabilization and stimulus programs in late 2008 and early 2009. Economists credit those actions with keeping the recession from sliding into another depression. Minotte and Native Concrete and Masonry are case studies on ways for upstart companies and entrepreneurs to survive turbulent times. A project manager for the company, however, provides vivid explanations why people are attracted to the work. 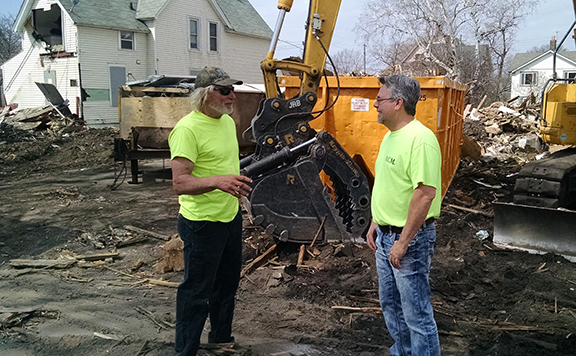 Dale Beach, who has been with Minotte for five years, oversaw a demolition project in northeast Minneapolis this spring where the company cleared eight houses for the city to build a large maintenance shed and storage facility. Every house has a story to tell, he said, and he enjoys studying the foundations and masonry. “Most of these homes started as small, single-family houses. Some have been added-on four or five times. “The one over there has had two additions,” Beach said, pointing at the remaining shell of a home. He found a blueprint in an adjacent house that had been improved just two years ago. He sometimes hears about families who had lived in the homes. One of the most interesting projects he worked on was a foundation restoration of a Carnegie Barnes County Library in Valley City, (1903) one of three surviving Carnegie built libraries in North Dakota. “The curator had a lot of fun information about the building and the Carnegie libraries,” he said. There’s clearly an emotional tie to projects for Monette as well. Among some of his favorite projects include work on a transportation building for his ancestral Turtle Lake Band of Ojibwe. Another was at Fort Totten, near Devils Lake, N.D. that was a former Army fort later used as an Indian boarding school, tuberculosis sanitarium and later for multiple purposes for the Spirit Lake Tribe and people around Devils Lake. “We helped restore six masonry brick buildings between the years 2011-1015,” he said. No entrepreneur succeeds all alone and especially when the work involves skilled laborers and other trained people. Monette says he’s especially grateful for his parents’ (Vernon and Karen) guidance and support over the years, and a brother (Mitch) who works with the company. Monette said contracts with tribal entities represent a minority part of his business but it helps him hire Native Americans for about 90 percent of crews through Tribal Employment Rights Ordinance (TERO) programs on those projects. Like Target Field construction, they can be especially timely. Other tribal projects in recent years were for the Lower Sioux Indian Community, Mille Lacs Band of Ojibwe, Fond du Lac Band of Lake Superior Chippewa, and the Grand Casino Hinckley R.V. park. 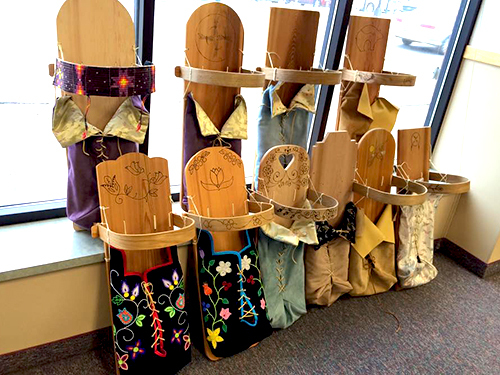 These are important to him, he said, just as he credits Leonard Prescott, former chairman of the Shakopee Mdewakanton Sioux Community; and David Bice, owner of Bald Eagle Erectors, with creating work opportunities for him and mentoring. That still doesn’t make ends meet at the end of each month. For that expertise, and mentoring, Monette credits the Minneapolis-based Metropolitan Economic Development Association (META) and especially Scott Ochsner, financial consultant, and two former business consultants, Tim Kennedy and Mariana Scott. META provides various services and consulting for minority entrepreneurs. Native Concrete & Masonry Inc.